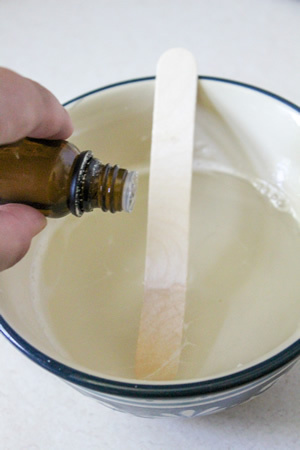 Easy homemade DIY pencil soap that makes the perfect back to school craft! They look and smell amazing and will make your kids, friends and family go WOW….so awesome! 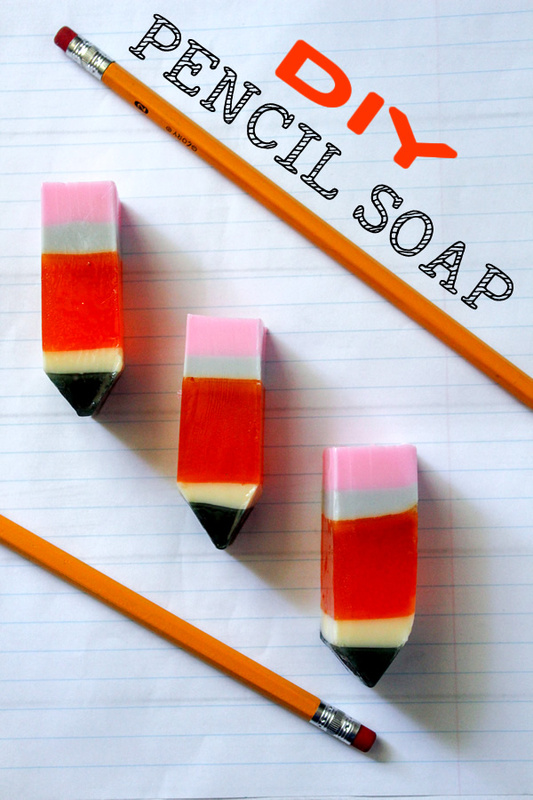 Kids will want to wash their hands with these DIY pencil soap bars and if you depending on what essential oil you add (if any) you can help keep those germs away too (see below instructions). 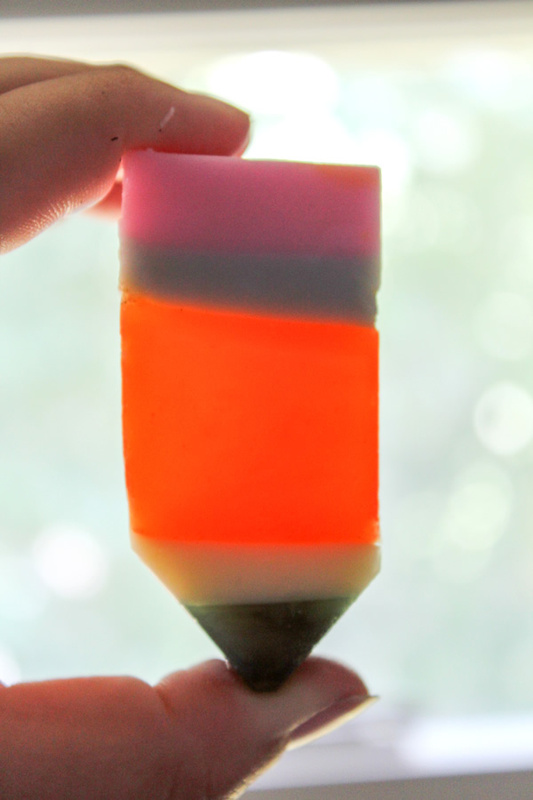 If you are looking to learn how to make soap bars with an easy recipe then this is the one for you! 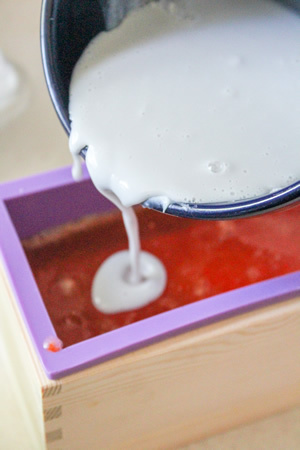 You can find soap making procedures and ingredients below for this fun DIY soap project. 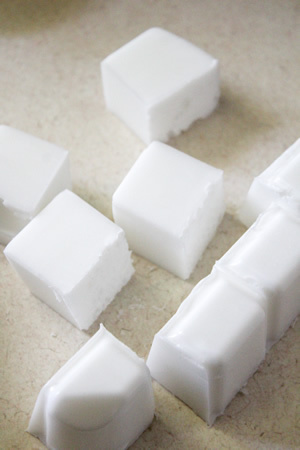 Learn how to make bar soap that the whole family will want to use! 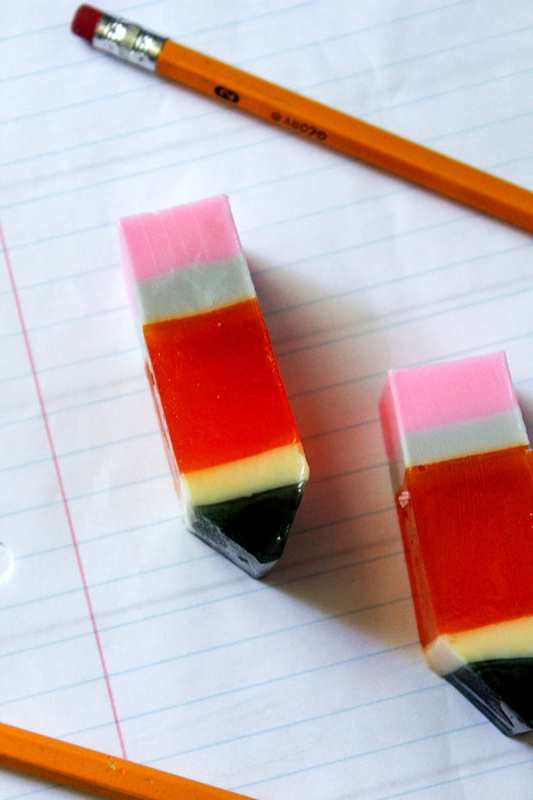 Make this soap as a back to school craft project with the kids before summer is over. 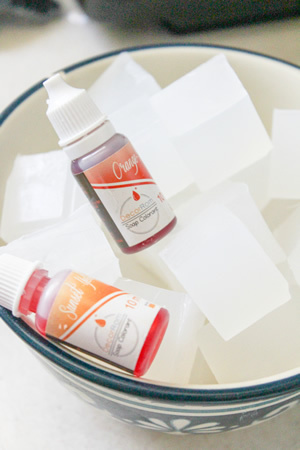 Now prepared to be amazed by this amazing DIY pencil soap and get the free soap making recipe. 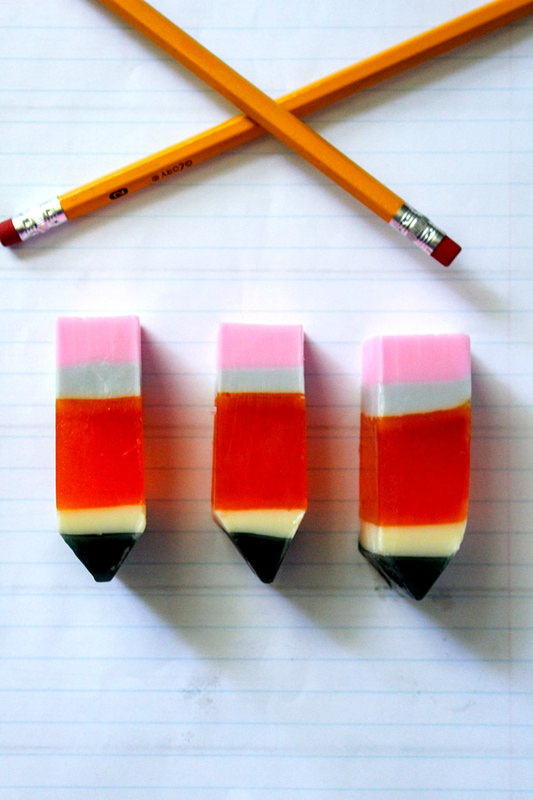 Here are the step by step photos on making these fun DIY soap bar that looks like a pencil. Below find the ingredients and instructions….Enjoy! Starting with bowl A, place in microwave for 30 second intervals (stirring between each) until melted. Carefully remove from the microwave. Add black coloring and stir. (I like to use craft sticks to stir. They are easy and you can toss them when you are done!) You are going for a graphite color. If you are adding essential oils, this is the step you will want to do so. 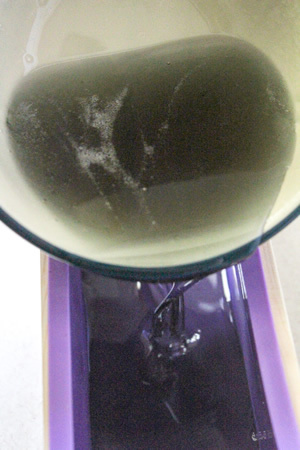 Once your color is made, pour into your soap mold. Now it is time to move on to bowl B. 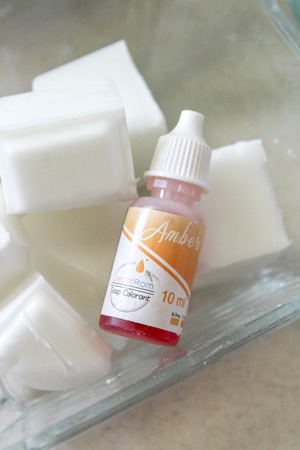 After this soap is melted, add a few drops of amber. 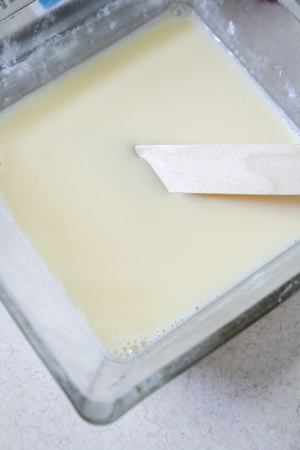 Mixed with the white of the soap it will form a cream color. Pour over the first layer of soap and allow to set. 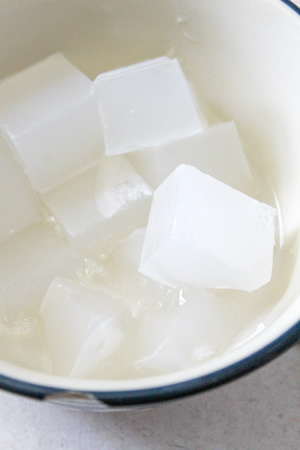 For the third layer, melt again in the microwave. 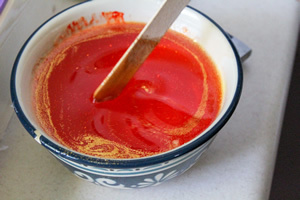 Once melted, color to form a pencil orange color. Dust with commercial grade cosmetic glitter. Don’t be shy with the glitter! 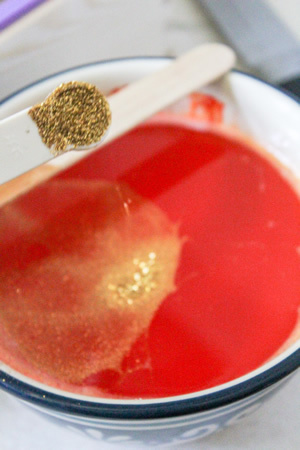 This is an opaque soap base so you will be able to see through it and the glitter will make this layer beautiful! Melt bowl D. For coloring, use a few drops of black. 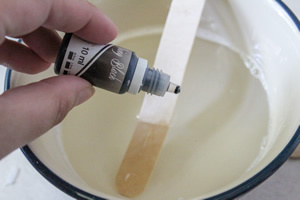 Mixed with the white soap base it will create a cool grey color perfect for the metal on the pencil. Pour over the orange layer and let it set. Last layer! Melt bowl E in the microwave. 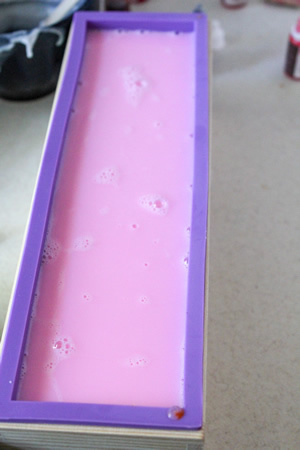 Color it pink for the eraser and pour into the soap mold. Using a knife, scrape off any air bubbles that rise to the top. Carefully let it sit out or put in the refrigerator. Ok so you can’t write with this soap but you can definitely get your hands clean! 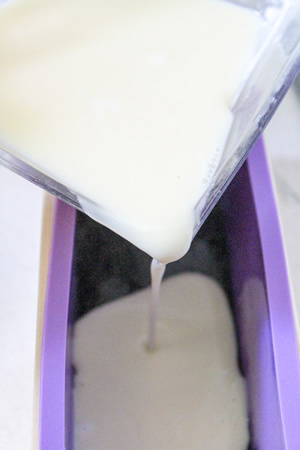 And if you want to learn how to make soap for kids this is the soap making recipe for you…..they will love it! This would be a perfect gift to give the teachers on the first day of school. I love that you can make soap without lye and get an amazing soap. Add whatever oils you want and you can customize this for your own essential oil bar soap recipe. 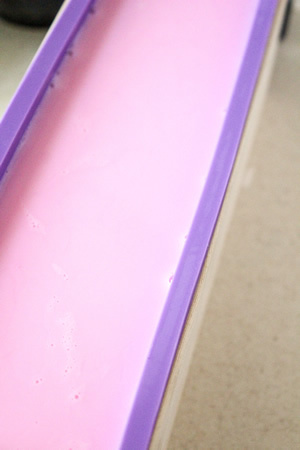 This DIY soap bar reminds me of the popsicle soap bars – if you want to learn how to make that one you can check out some Youtube videos – here is one from my friend Sarah at Socraftastic if you want to check it out. If you want other DIY soap ideas you can check out Pinterest. There you can find DIY soap bars for beginners, homemade natural soap bars, melt and pour soaps, coconut oil soaps, goats milk, organic, sensitive skin soap and much more. I hope you enjoyed this soap bar DIY that is handmade and super cute.